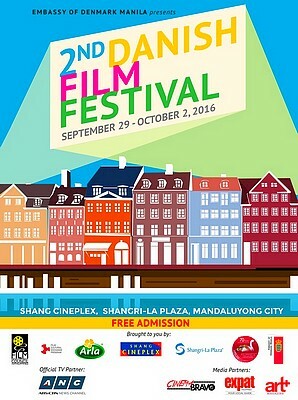 Get your tickets to the 2nd Danish Film Festival, running from September 29 to October 2 at the Shang Cineplex in Shangri-La Plaza. Denmark will, yet again, be showcasing some finely curated films with themes from child superheroes to conspiracy theories to your typical family style conflicts. This year's line-up includes The Idealist, Rosita, Antboy: Revenge of the Red Fury, Silent Heart, and more. Entrance is free. For inquiries, call 370-2597 or 98, or visit Shangri-La Plaza's Facebook page.